Porcelain veneers, which are also known as dental porcelain laminates, are thin faces that cover the surfaces of teeth. Porcelain veneers are usually employed to remedy unsightly chips and cracks in the teeth for our Eagle ID area patients. They have also been increasingly used as a remedy for tooth gaps. Perhaps most importantly, porcelain veneers are starting to be used in the correction of moderately misaligned teeth so one can get rid of unattractive and high maintenance traditional braces. Consultation: By far, most of our patients who are interested in veneers for teeth are able to take advantage of them. Veneers for teeth aren’t for everyone though. Your initial dental veneer consultation with Meridian ID area dentists, Dr. Lynn Blaisdell or Dr. Craig Blaisdell, will let you know whether veneers for teeth or another treatment option is best for you. Preparation: Dr. Blaisdell will carefully prepare the surface of your tooth or teeth to receive you dental veneer or multiple veneers for teeth. This preparation process ensures a strong bond between your tooth and new dental veneer. Application: After your teeth have been prepared, the dental veneer is permanently affixed to the prepared tooth. Dr. Blaisdell is exceptional at carefully and comfortably placing porcelain veneers for his patients in Boise. Smile: Your brand new smile (thanks to porcelain veneers) is ready to show off! Porcelain veneers’ popularity is exploding because of the numerous advantages and benefits they offer. After you read the list below, you may think we’re a little biased or that porcelain veneers for teeth are too good to be true for patients in Boise or the surrounding areas such as Eagle or Meridian ID. We assure you that we’re telling the truth, but we also admit that porcelain veneers truly are amazing and we’re excited to offer such high quality porcelain veneers that benefit the lives of our patients so much! A porcelain dental veneer looks almost exactly like a real tooth. Dental veneers function just like your natural teeth. 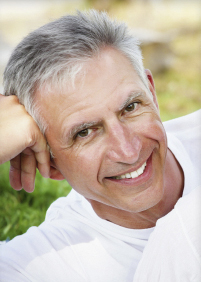 Porcelain veneers instantly fix cosmetic dental issues. The dental veneers procedure itself is comfortable. Learn more about porcelain veneers today by scheduling a visit at our Boise office serving Eagle and Meridian ID, or feel free to just stop in. We’d be happy to meet you and answer any questions you may have.